Most guys treat shaving as a chore and not a process…. Remember "Beard Maintenance" Also Means "Skincare". Here are some tips that will help you with clean-shaven days or growing out your beard. Some of you might think I need to remove this hair instead of I need to keep my skin healthy. If this sounds like you, then you might be experiencing irritation, infection, and razor burn on and around your neckline. To prevent these things from happening take your time and always follow a regimen when shaving your face. 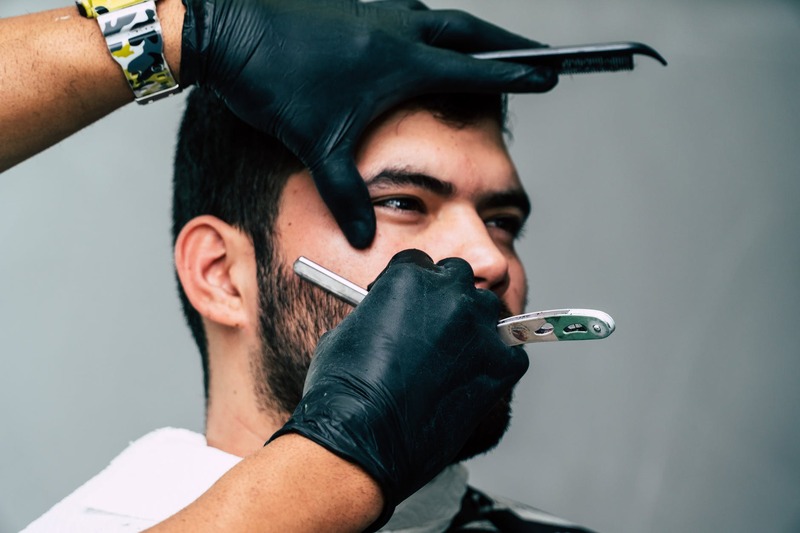 A proper shave takes time, especially when it comes to pre- and post-shave care. Even if you’re just maintaining facial hair and shaving around certain areas, be sure your skin is clean. Always make sure your pores are open beforehand and properly sealed after to avoid any skin irritation. It’s important for best results to start your shave with hot water and end it with a cold splash of water before applying a beard balm or nurturing oil. Beard oil acts as a moisturizing and conditioning agent that can help stimulate hair growth and treat your beard as well as the skin underneath. On the other hand, beard balm is a styling agent that can help add volume and shape to your beard; it can also deodorize and assist with locking in moisture. So, while both can nourish the hair, oil is for softening the bristles and hydrating the skin, and balm is for styling and protecting the hairs from environmental wear and dehydration. 2) Start with hot water to open your pores. 3) Finish with cold water to close your pores. 4) Invest and decide on a good Beard Oil or Beard Balm to get the results you want. Come and see one of our Hair Stylists, Nail Technicians or Beauty Therapists and let us take care of you!